We all remember the horrifying movie Jaws. How that massive great white shark terrorized all the people in that seaside town until Roy Scheider eventually killed it. Since then, people have had a morbid fascination with sharks in general, not just great whites. Can you believe that some folks are actually paid good money to photograph sharks up close and personal while it’s just a hobby for others? 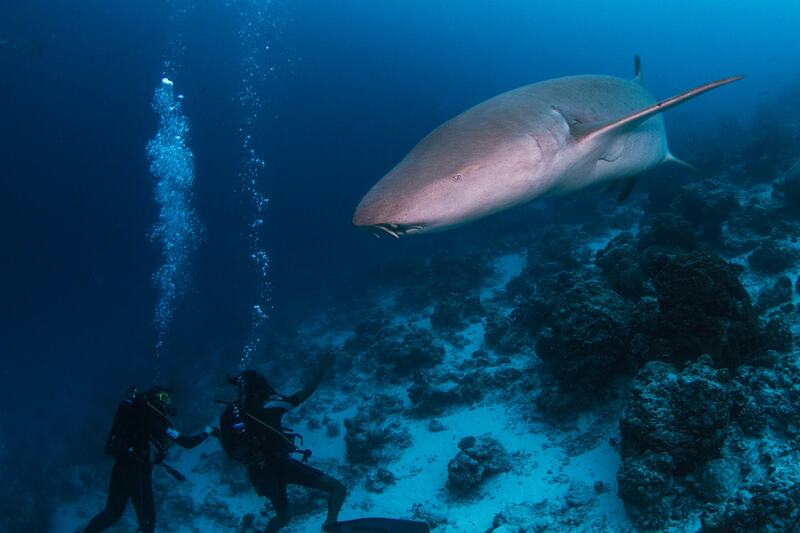 While you may not yet muster up the courage to actually go and add shark photography to your list of photography projects, here are some pointers on how the fearless do it. One of the most important rules to follow in shark photography is that you don’t need your camera’s view finder. This means you’ll have to start snapping your shark images by instinct alone, but it’s really for your own good (and safety). After you’ve dealt with pre-setting your focus, you’re good to go. The more you get comfortable with working underwater and also with the view of different lenses (wide-angle, fisheye, etc. ), the more naturally you’ll frame your shots underwater just by pointing your camera at the sharks. Not having to deal with the view finder also leaves you free to be more aware of your surroundings – which is always helpful when you’re surrounded by potentially dangerous sharks. Shark photography works best when you have the correct lenses. Ideally, you’ll want to use a wide-angle lens, and this is a general rule of thumb that applies to most cases of shark photography. If you want to go in closer still, you can use a macro lens, which is perfect for getting specific, interesting features of sharks up close and personal (such as neat markings or their eyes). Then, there are also fisheye lenses that are meant for very wide shots if the shark is that close to you. The fisheye is your go-to lens if you want to capture numerous sharks together in the same shot. A 10-17mm fisheye works best in this situation, but at other times, it’ll be too wide. When you want to shoot sharks that are unpredictable in their swimming patterns, go with the 12-24mm rectilinear option. If you’re in full frame, use anything in the 17–70mm range. As for aperture, a maximum aperture of f/2.8 gives good results if you’re utilizing a fast lens. Alternately, f/4 with a constant aperture across the range also gives good outcomes. Some parts of the world are just better suited for shark photography because of the plethora of sharks and the ease of access of the location. If you think you can just go into any saltwater area (read: any ocean) and have great opportunities, you’ll find a different story altogether. 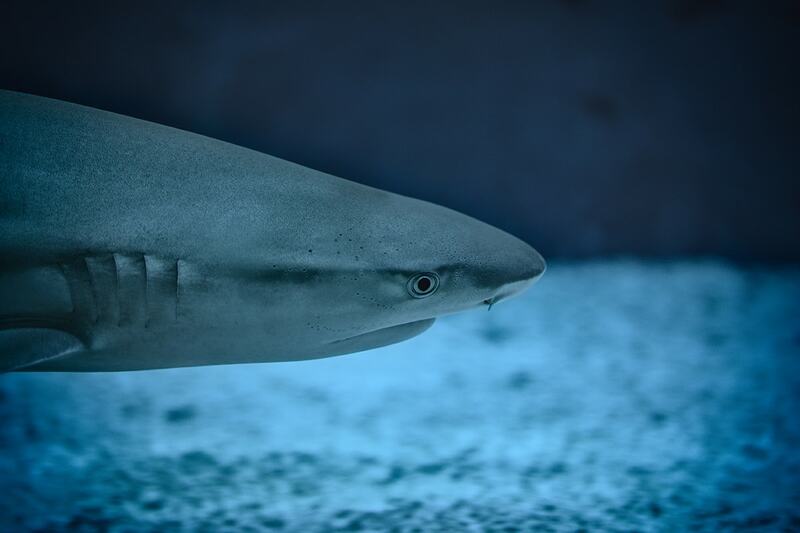 Get better shark images by keeping the strobe arms relatively wide and utilizing a strobe that has power that you can control and reduce, if necessary. 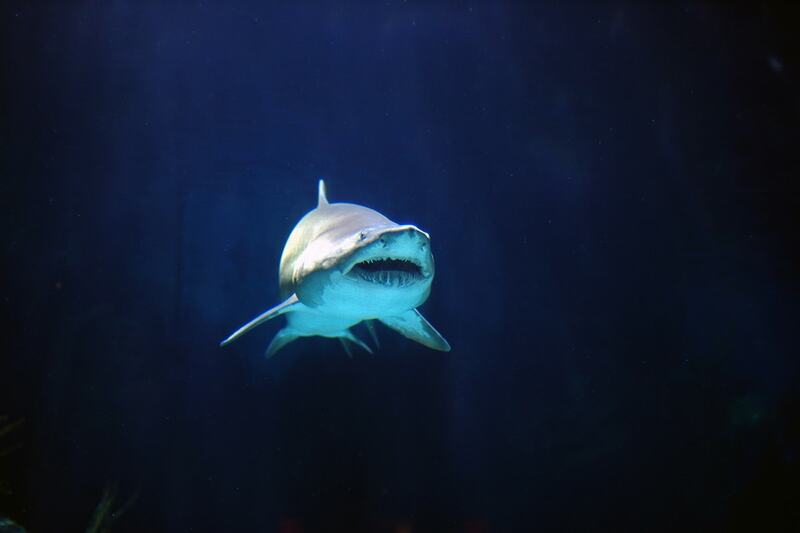 Essentially, you’ll want to throw more light onto sharks simply because of their swimming behavior. 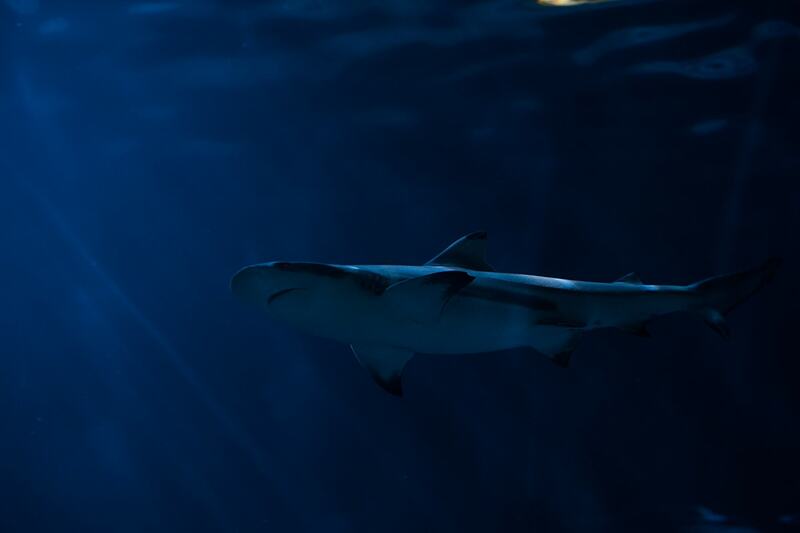 Some sharks, like hammerheads, won’t come close to divers out in the open circuit, which means that you’ll have to illuminate them from a greater distance with stronger underwater strobes. On the other hand, definitely turn off the strobes if the shark is too far away, as in more than five feet away. Be on the lookout for backscatter as well as blowing out any highlights of the shark’s ventral side, when using your strobes. In some situations, using a lower strobe setting can be an advantage to the quality of the final image. Exposure matters when dealing with sharks. To be sure, there’s always going to be the challenge of balancing the ambient light with your foreground, which is the crucial factor in successful underwater photography with a wide-angle lens. This applies double to shark photography because they’re more complicated than your ordinary underwater subjects. 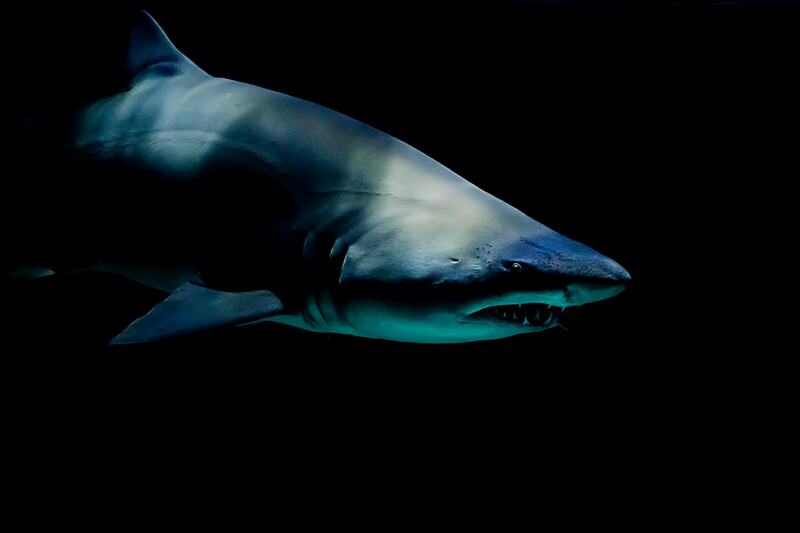 By nature, sharks are fast-moving predators that bring a lot of motion to your frame. That’s why you should go for freezing this motion. Ideally, strive to choose the fastest shutter speed that your strobes will still properly sync with. This allows you to capture that high detail while freezing the shark’s quick motion. 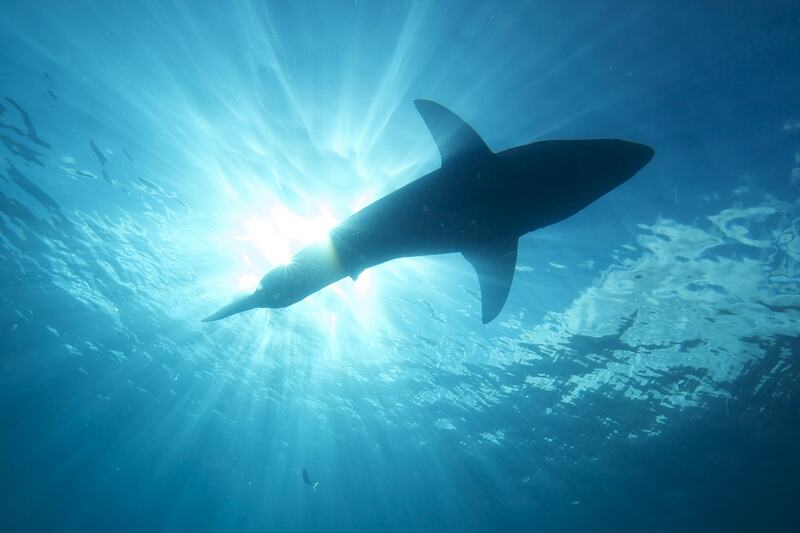 Sometimes, it’s pretty easy to predict how sharks will swim or where they’ll pass. This is absolutely true when they’re feeding and are 100% concentrating on their food. In this scenario, simply pre-set and then lock the focus on a static subject or even your own fin. This is to guard against what happens when the movement of sharks in a feeding frenzy gets even more frenetic, as it often does. The worst case scenario is that your autofocus takes over and desperately tries to lock on a moving target, ruining your shot. One last tip: Just make sure to immediately update the focus when the usual distance between your subject and the camera changes. Shark photography is likely a genre within photography that you won’t and can’t just experiment with on a weekend where things are a bit slow. It’s not just potentially dangerous, but it’s also a time- and equipment-intensive activity that you’ll have to commit to. This genre of photography is clearly not for everyone, but it’s definitely a way to express your artistic side…while also doing something very adventurous and unforgettable. Marc’s a copywriter who tackles the finer points of photography, but he also specializes in business and marketing topics like B2Bs and conversions. To find out what really makes him tick, head on over to his website, and don’t forget to make his day by liking his Facebook page!